The FA Cup final is by far the most exciting event of the English football season. No matter which teams are playing, the final is always a joy to watch. Buy the very best FA Cup final tickets to the spectacular FA Cup Final 2018 at Wembley Stadium on 19 May 2018. The 2018 FA Cup final was a very intense match between Manchester United and Chelsea. The Blues won the match with 1-0. Book your the 2019 FA Cup final tickets here! 1st4 Football Tickets can provide you with FA Cup tickets to all matches including FA Cup Final tickets and FA Cup Semi Final tickets. The FA Cup final is one of the greatest football cup finals in the world. In the 2018 FA Cup Final Chelsea beat Manchester United and won the FA Cup Final with an exciting 1-0 victory. The last five FA Cup champions are Manchester United (2016) Arsenal (2017, 2015 and 2014), Wigan Athletic (2013), Chelsea (winning the final in 2009, 2010, 2012 and 2018) and Manchester City (winning the title in 2011). No doubt the FA Cup Final 2019 between two cup fighters will become a fierce battle between world star football players. Please, select your FA Cup final tickets by using the links on this page. You can either buy your FA Cup final tickets online, or you can call our football ticket hotline. Join in the excitement and fun at the FA Cup Final - sit with other football fans and enjoy the match! Buy hot FA Cup Final tickets online at 1st4FootballTickets.com and experience an unforgettable football game live at Wembley Stadium in London, UK with other fans, supporting your favorite team. You can buy tickets for the FA Cup Final at 1st4FootballTickets.com securely online - or you can call our football ticket hotline @ UK TEL: 0871 284 5277! Every FA Cup Final ticket order from 1st4FootbalTickets.com comes with a 150% guarantee, and will be delivered to your home, hotel, or office ASAP by our reliable partners FedEx and Royal Mail Special Delivery. 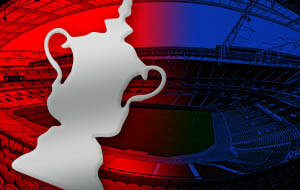 You can buy football tickets for FA Cup clashes, as well as FA Cup 2019 Semi Final tickets on 1st4FootballTickets.com. Buy great FA CUP FINAL 2019 tickets now to watch the exciting season climax clash for the silverware on May 16, 2019 at Wembley Stadium in London, UK.